The 2011 Tanglewood Jazz Festival takes place Friday through Sunday September 2 – 4, with concerts, interviews, radio broadcasts, and a film scheduled for Ozawa Hall, Highwood, and Serenak on the Boston Symphony Orchestra’s Tanglewood campus in Lenox, Mass. 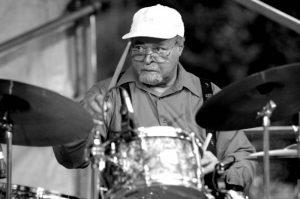 This year’s festival will be augmented by performances and interviews with Jimmy Cobb and Gunther Schuller, thanks to the award by the National Endowment for the Arts (NEA) of a Jazz Masters Live grant. Cobb and Schuller were named NEA Jazz Masters in 2009 and 2008. Musicians and groups scheduled to perform during the 2011 Tanglewood Jazz Festival are Dianne Reeves, Angelique Kidjo, Lizz Wright, NEA Jazz Master Jimmy Cobb, Mary Stallings, the Mingus Orchestra, Edmar Castaneda, NEA Jazz Master Gunther Schuller, John Santos, Federico Britos, Geri Allen, Terri Lyne Carrington, Rumero Lubambo, James Genus, Munyungo Jackson, Judy Carmichael, Michael Kaeshammer, Robin McKelle, Ulysses Owens, Sarah Manning, Rebecca Martin, Larry Grenadier, Bill McHenry, Cedric Hanriot.